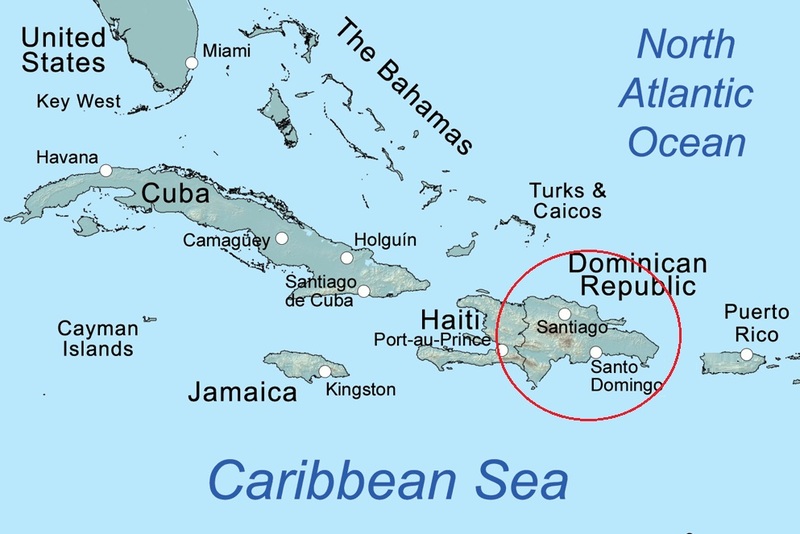 At about 48,442 square kilometers (18,704 square miles), the Dominican Republic is about the same size as the Netherlands, and together with Haiti, it forms Hispaniola Island, which rests between the Atlantic Ocean and the Caribbean Sea. 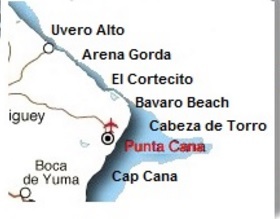 The Dominican Republic lays claim to 800 miles / 1300 km of shoreline and the highest peak in the Caribbean: Pica Duarte, which is 10,700 feet / 3000 m. above sea level. 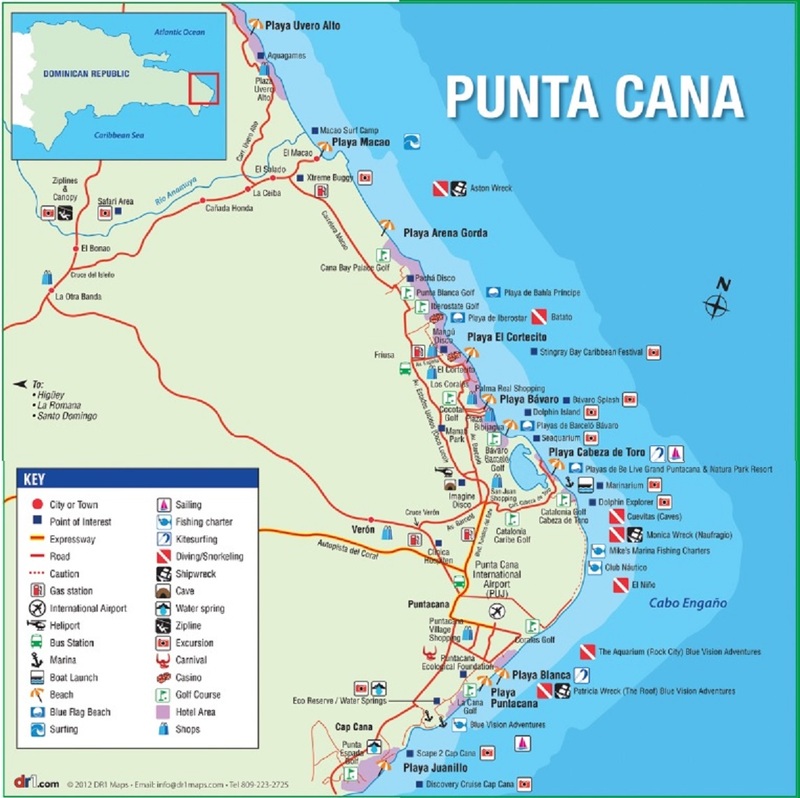 Punta Cana lies on the eastern shore of the nation, right at the junction between two bodies of water - the Atlantic and the Caribbean Sea-, the contrasting currents here produce remarkable biodiversity that is great for scuba diving and snorkeling. 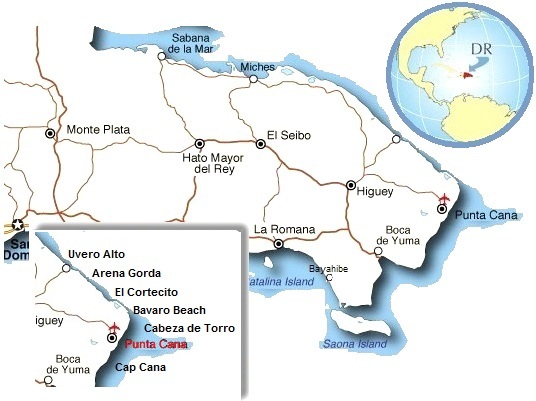 Some organizations and individuals also lump in the southern region of Bayahibe & Dominicus. 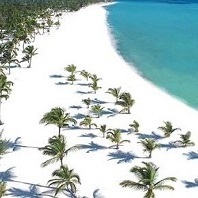 Most people - about 2.4 million a year actually - arrive to Punta Cana by air. 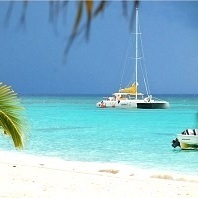 However one can also arrive by land (arriving at one of the other international airports in the country) or even by sea.